Are you ready for this? Of course not! 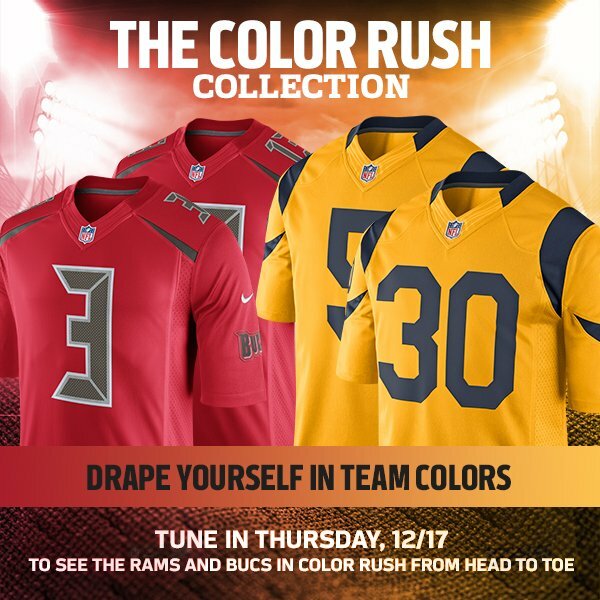 The Color Rush matchups are back for Thursday Night Football and the NFL has released images of the uniforms for the Buccaneers and Rams for next week’s matchup. It’s going to be a doozy of a condiment game as ketchup will face off against mustard for hot dog supremacy while being played on relish field. Let’s break down the uniforms for both teams. The Buccaneers are going all-red for their uniform. Taking their current uniform template, they have eliminated the pewter yolk (great move) and the alarm clock design from the numbers (another great move, although the trim is still there). The simplistic look would actually be a great upgrade to their current uniform if they stuck with this design. What I like about this jersey is that the minimal look to it is really welcoming. The Bucs had a great uniform before their new set was introduced last season. 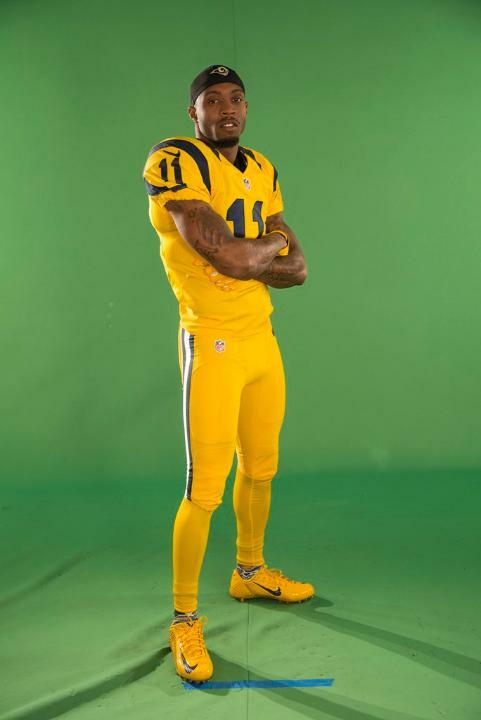 With this new Color Rush design, they have stripped it down to the most simplest possible look while keeping the same design elements in tact. And it appears they have taken away the orange, which in this design would have been excessive. 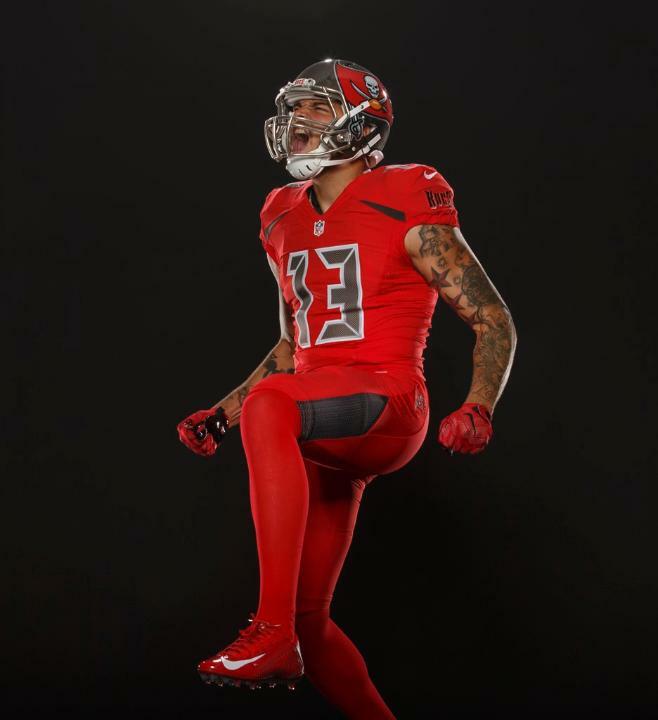 Even though I am not huge on an all-red look like this, it’s better than what the Bucs had before. I wish there was more pewter but for one game, I can’t be too disappointed. 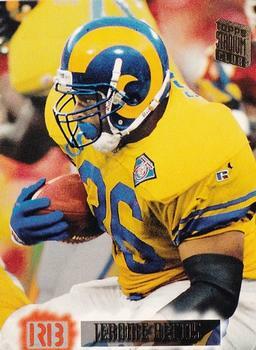 I remember when the Rams wore gold-topped throwbacks during the 1994 season. The Rams are taking inspiration from that and combining it with their “Greatest Show on Turf” uniforms. It’s pretty jarring to see an all-gold uniform. When the Jaguars did it earlier this year, it was more dijon mustard. This is athletic gold and it is bright. What I do like is that the throwback design is way better than their current template design. With hat in mind, I am also pleased to see that they have the matching helmet decal to go with it. The Rams horn on the sleeve is a great touch to a classic design. It’s like a fashion jersey. The gold pants are just the same ones they have worn during their throwback games so that’s good to see. The socks are gold also, which really makes this difficult to take in. However, overall, it’s not that bad. It’s not great and I never want to see it again. But a mix of the 1990s in this uniform set for one game isn’t bad, all things considered. Overall, I don’t hate these uniforms separately. But together on the field at the same time for the condiment bowl isn’t going to be great. But that’s what you get. 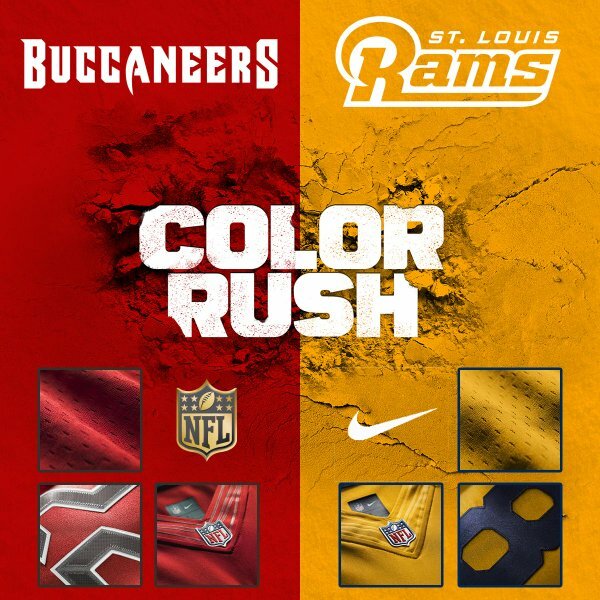 This entry was posted in New Sets, NFL, St. Louis Rams, Tampa Bay Buccaneers, Uniforms & Design and tagged Color Rush. Bookmark the permalink.